Today, as a family we visited the bridge from which Elijah and David fell. 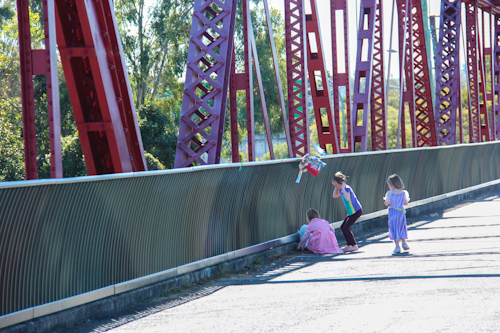 The girls have heard what happened and wanted to see the bridge for themselves. 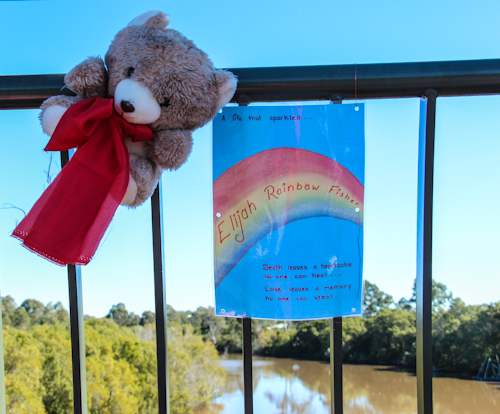 Anonymous people have created an informal memorial to Elijah in the centre of the bridge. They’ve left cards, flowers and teddies, and their kindnesses move me to tears as I stop by the bridge on my way to and from home. 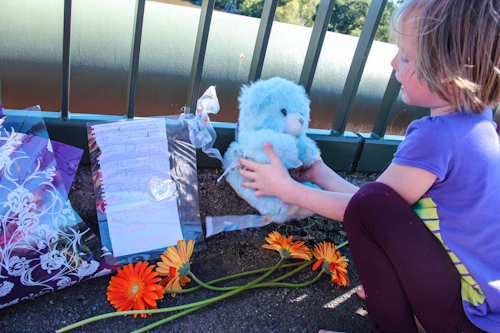 Attracted by the cards, flowers and toys attached to the hand-rail, our girls run to the centre of the footbridge to examine Elijah's unofficial memorial. Kind, anonymous people have created a beautiful tribute to Elijah's short life. Aisha falls in love with this blue teddy, so we take him home with us. Thank you to those kind people who have created this informal tribute to Elijah. Your kindness and compassion compels me to be more loving to strangers in the future. I don’t understand there are high walls, high railings. How could the terrible tragedy even have happened?? Well obviously Roy, he jumped on purpose.